Lilesville - Mr. Joe Frank "Willie" Caudle, 49, was a homicide victim at his home in Lilesville on Wednesday, January 16, 2019. Funeral services will be 2:00pm Wednesday, January 23, 2019 in the Chapel of Leavitt Funeral Home. Interment will follow in Anson Memorial Park. The family will greet friends from 6:00pm until 8:00pm Tuesday, January 22, 2019 at the funeral home. Willie was born May 27, 1969 in Chesterfield County, SC a son of the late John Frank Caudle and the late Mary Grace Bullard Caudle. He was employed with Mike Goodwin Logging. 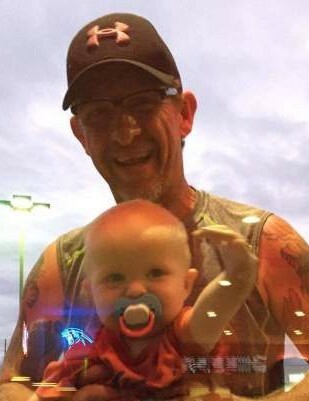 Surviving are his wife, Tonia Ratliff Caudle; his children, John Michael Caudle (Ashley Treadaway) of Wadesboro and Becca Caudle (Holden Mathias) of Pageland, SC; his grandson, Brantley Caudle and his sister, Debbie Seigler (David) of Lilesville. The family would be grateful for any memorial donations made to Leavitt Funeral Home. P.O. Box 274, Wadesboro, NC 28170 to assist with funeral expenses.